Farmstead Arts, located on the grounds of the Kennedy Martin Stelle (KMS) Farmstead in Basking Ridge, is much more than a vestige of Bernards Township’s rural past. 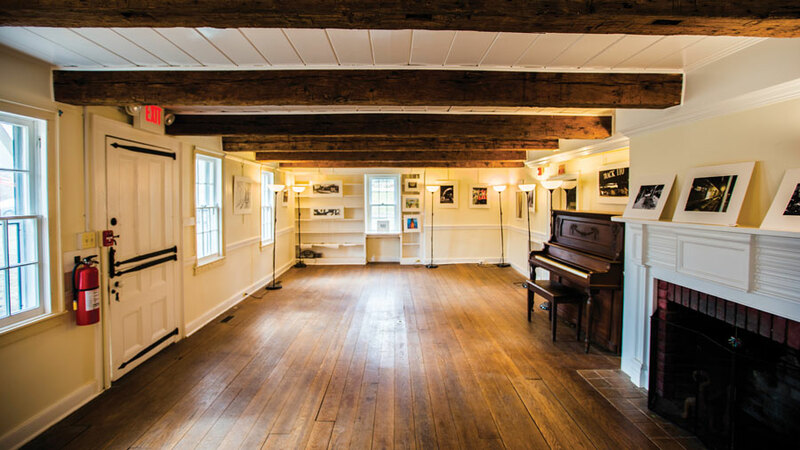 Today, the eighteenth century farmstead, which is listed on the Federal and New Jersey Registers of Historic Places, is a vibrant arts center and serves as a model for adaptive reuse of an historic treasure. 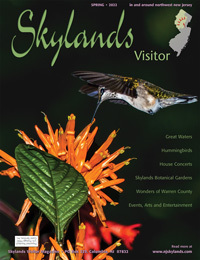 The transformation of the property—from an old working farm to a center for the fine, performing and practical arts—represents an on-going collaborative effort between the Friends of the KMS Farmstead; local, state and county government; hundreds of citizen volunteers; and some of New Jersey’s most respected preservation professionals. Main gallery and event space downstairs in the farmhouse. English barn before and after exterior restoration. Photos by Kristina Lloyd. 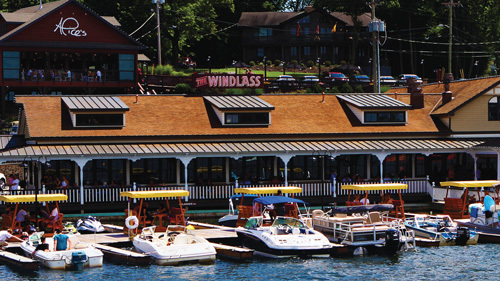 The nomenclature “Kennedy Martin Stelle” stems from past owners of the property, who included the Rev. Samuel Kennedy, a pastor of the Basking Ridge Presbyterian Church who ran a classical school there in the 1760s that prepared young boys for Princeton. 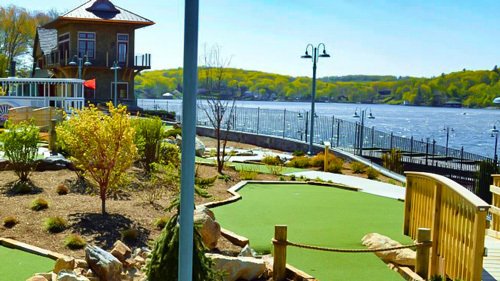 By the late 1770s, Col. Ephraim Martin, a Revolutionary War hero and legislator who played a major role in the making New Jersey the first state to ratify the Bill of Rights, had taken residence. The Stelles acquired the property in the 1790s and farmed the land until 1940, while serving as elected officials in town and county government. From 1940-60 Gerald Pearson lived on the farm and worked at Bell Laboratories where he with two others invented the solar cell – enabling technology for the space race. More recently, in the 1960s, the Geier family continued limited farming by haying the fields and growing Christmas trees. The creativity and vision of the property’s former residents inspire those who come to Farmstead Arts today. 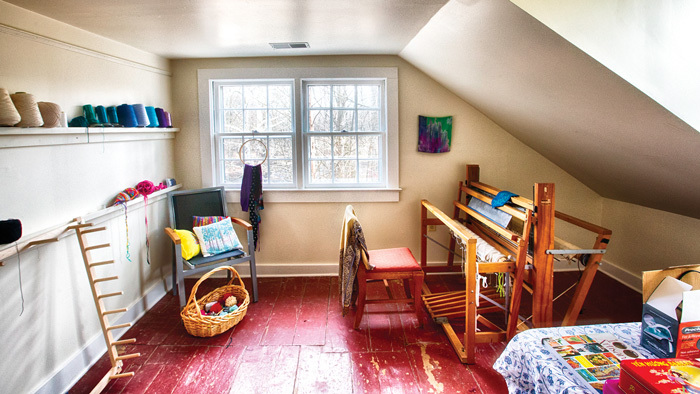 A working studio upstairs in the farmhouse. Photos by Robert Thompson. But it is not the farmhouse that qualified the property for historic preservation. The farmstead’s architectural centerpiece is the English Barn, with two significant surviving features. The hewn common roof rafters with pegged wind braces “got us on the National Register”, explains Ann Osterdale Rosenblum, President of the Friends. “And they held up the roof for 300 years while the rest of the building deteriorated.” There is also the “dropped” or lower level stables at one end, signature to English barns. Other structures built before 1850 that contribute to the property’s architectural significance include the cowshed, an icehouse, a wagon house and a well house. 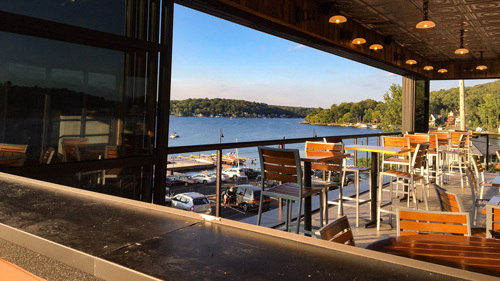 This year another completed phase of construction will include a new and restored floor for the barn, making the structure usable as a community meeting place for concerts, theater, large art installations, classes, summer camps and special events. This beautiful wood edifice straight out of the history books might someday also be available for small weddings and parties. 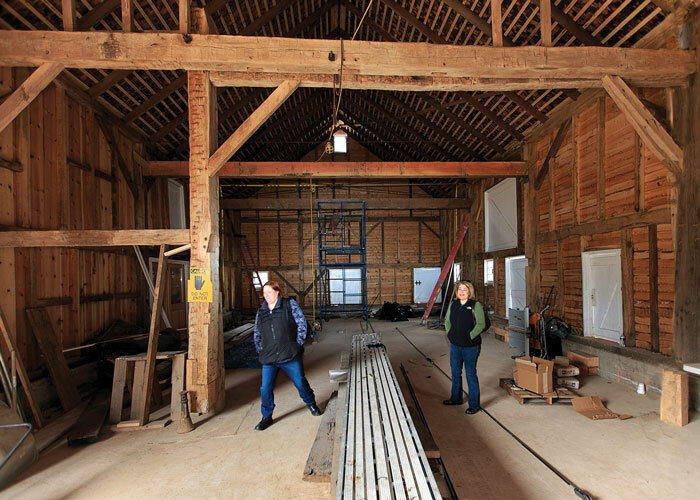 Kristina Lloyd and Carolyn Kelly await completion of the barn’s interior. Photo by Robert Thompson. In early October, 2010, Farmstead Arts had its official grand opening and formal dedication during Somerset County’s Weekend Journey Through The Past, the culmination of eleven years of renovation efforts by the Friends, supported by grant funding from the State of New Jersey, Somerset County, Bernards Township, The Historical Society of The Somerset Hills, and through countless volunteer hours by members of the community. In December of 2010 an exhibit called “Show One, Works by Six” was the first at this new and unique gallery. That year, The Historical Society of The Somerset Hills honored the Friends of the KMS Farmstead with the Lorraine Passmore Historic Preservation Award in special recognition of the 250th anniversary of Bernards Township. 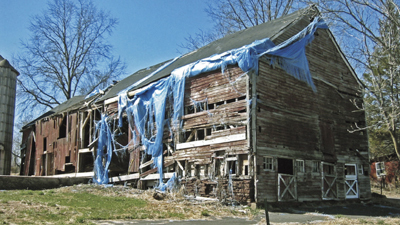 In 2011, the New Jersey Historic Trust awarded the Friends of the KMS Farmstead and the team of professionals and civic leaders who collaborated in the restoration, a highly prestigious New Jersey Historic Preservation Award. Since opening, more than 2,000 visitors have come to the Farmstead to enjoy art exhibitions, live music, art classes, workshops and community events. 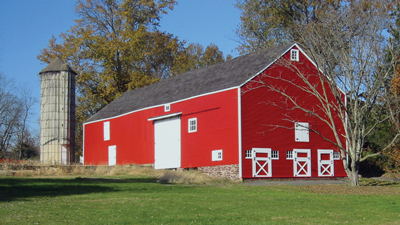 Farmstead Arts is located at 450 King George Road in Basking Ridge. For more information please click or call 347/927-8748.